School field-trips should always end like this! 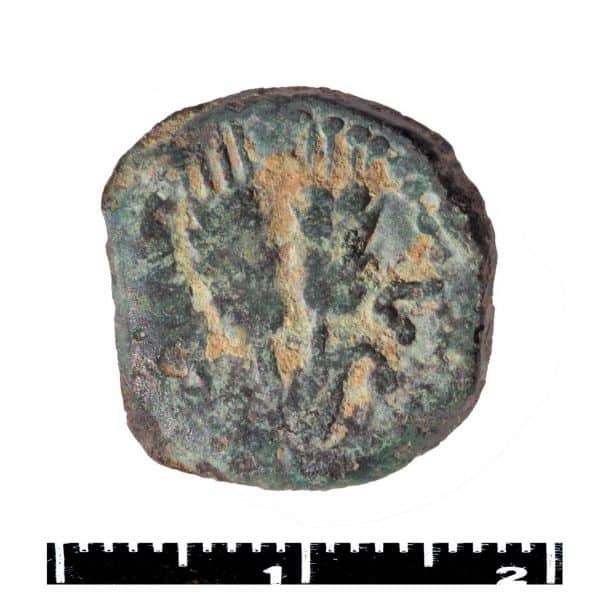 A student walking through the Shilo Stream in western Samaria came across an ancient coin from the days of King Agrippa I, grandson of Herod, which he duly handed over to the archaeology unit at the civil administration of Judea and Samaria under the Ministry of Defense. 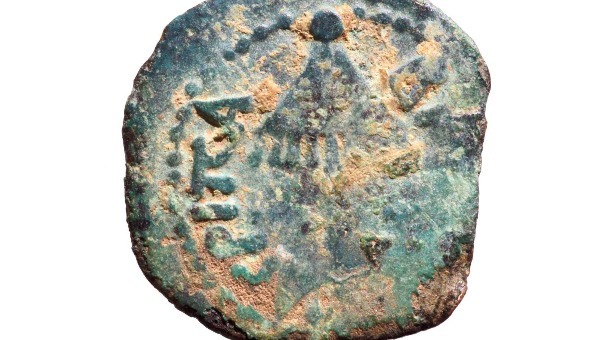 One side of the coin shows a stylized canopy (the thing that looks like an umbrella) with a Greek inscription reading “King Agrippa.” The obverse side is stamped with three wheat stalks – a traditional Jewish symbol. The few extant coins from the reign of Agrippa I divide into two rough categories, depending on for whose use they were intended. For his Jewish subjects, Agrippa replaced his own image with a canopy – representing monarchy – to avoid offending them with forbidden “graven images.” The inscription was still in Greek (as opposed to the earlier Hasmonean coins, figuring both Greek and proto-Hebrew lettering), but read Bacileos Agripa (King Agrippa). The coin from Shiloh belongs to this category of coins, which had wheat sheaves on the obverse. 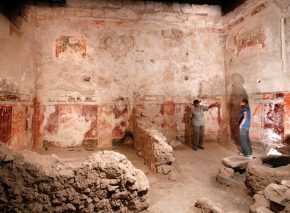 Herod Agrippa was named for his grandfather, but was educated in Rome, safe from the volatile monarch’s murderous outbursts (one of which had resulted in the deaths of his father and uncle, Herod’s two sons by his Hasmonean wife Mariamne). Growing up with members of the Roman aristocracy, Agrippa was said to have been a wild and dissolute youth. 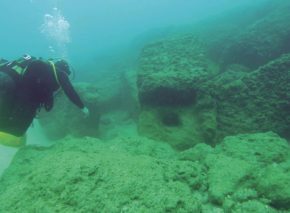 He returned to Judea after the emperor Caligula made him a gift of the Galilee in the year 37 CE, and in 41 all of Judea was restored to his rule by Caligula’s successor, Agrippa’s friend Claudius. The new king died suddenly in the year 44 in Caesarea, after a short but peaceful reign; both second Temple historian Josephus and the sages of the Talmud agree that he was, overall, a positive character. This is an exciting find. 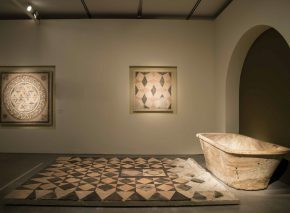 The story behind every archaeological artifact that comes to light adds another piece to the puzzle yet to be completed, the history of people of Israel and their homeland. 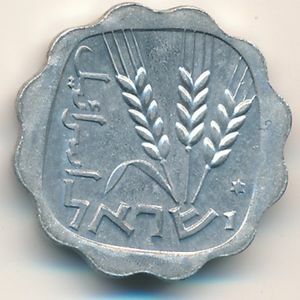 In 1960, the Bank of Israel minted a one agora coin (it’s smallest denomination) stamped with the three wheat stalks originally used by Agrippa I.